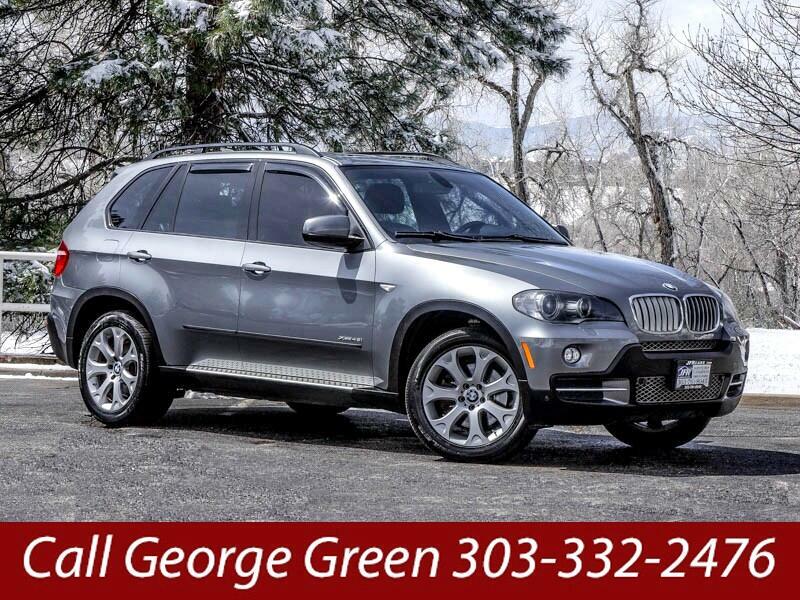 Used 2009 BMW X5 xDrive48i for Sale in Littleton CO 80120 JFR & Associates, Inc. This affordable BMW X5 has a clean CARFAX, and it's priced $2,000 below market value according to CarGurus. This X5 sets the standard for performance and handling in its segment. It's one of the best-handling midsize luxury SUV's you can buy. The interior cabin is elegant, and one of the best BMW ever built. You'll find the materials are high-quality and the instrumentation is crystal-clear. The cabin is quiet and offers plenty of room and comfort for your passengers. This BMW X5 comes with a wide array of options and features like woodgrain trim, power tailgate, CD player, backup sonar, aux audio jack, Bluetooth integration, heated seats, leather, sunroof, memory seats, navigation, running boards, plus lots more to make your driving experience more enjoyable. You are cordially invited to take this X5 for a spin and discover for your self how nice this SUV handles and drives. Contact us today and schedule your test drive.